​Behind every great vacation rental is a destination ambassador who introduces the town or city to visitors in a fun and authentic way. Sometimes it's through interior design and decor: . Other times, it’s through tips and introductions in the local community. And when choosing the right property for vacation, I tend to look for a combination of both: a property that tells a story — whatever that story might be. Back before tourism was such big business, Florida was known for it's slower pace of life: small towns were powered by mom and pop shops, kids would roam freely, and things were simple and easy. Things were quaint, but great. 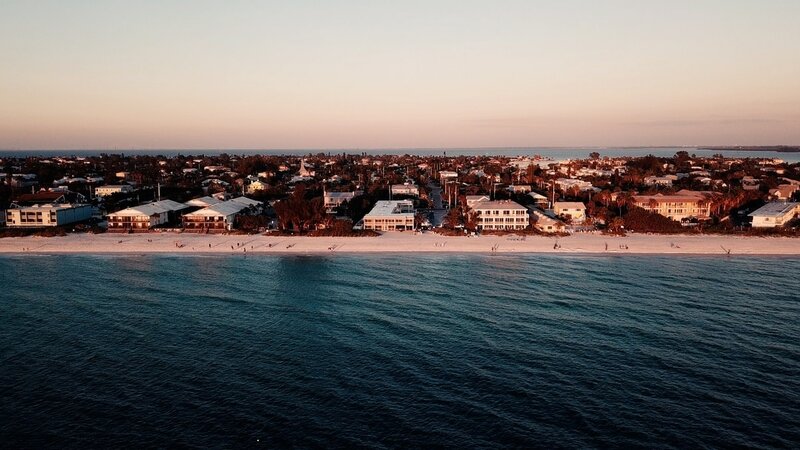 This era is fondly referred to as “Old Florida” — and it’s all but disappeared with the onset of technology and development — once quaint beach destinations are now home to resorts and expansive strip malls. But remnants of Old Florida charm do still exist if you look for them carefully. And vacation rentals are a great place to start. My ambassador of Old Florida was Nancy McAleer, of Sirenia by the Sea, who lives most of the year with her husband Michael in Montreal — some 1500 miles away. Nancy's part of an increasingly growing kind of vacation rental professional who manages their vacation rental businesses from afar with the help of technology and old-fashioned persistence. When you ask Nancy if she thinks a remote host can achieve the same quality as a host who lives on-site, she’s almost offended — claiming when done properly, the remote recipe works even better because it forces you to be almost overly-prepared for anything that might come your way. Nancy's vacation rental story starts off like many: adversity forced her to find a new path forward. ​Throughout my visit, ​despite meeting so many people from so many ​different walks of life, everyone spoke a common language of AMI and that’s a powerful thing. For a vacation rental destination, when both the residents, business owners, and visitors have a precise understanding of what’s being offered and what is not, there’s synergy there, collective wisdom seems to thrive. ​Each destination and host has multiple layers to its success. So we decided to pull back the curtain and share commentary on the people, places, and best industry practices that made this destination so unique. ​To record this video, we've used the Logitech c920 webcam, the Blue Snowball microphone, and Camtasia screen recording software. The following series of videos are designed to help better understand Nancy's secrets to success. Watch each short clip and think about how it might apply to your vacation rental business. 2. The Benefits of Being "High Maintenance"
When considering investing in a vacation rental home, there are two layers of research that Nancy recommends: the first is to investigate city data such as crime, household income, taxes...etc. The second layer is the more granular vacation rental deep dive: browsing the major listing sites to gauge the supply (inventory) and demand (occupancy calendars) of the local market. When getting started in the vacation rental industry, it's hard to know exactly what guests will expect to be in your home. Nancy found that the easiest way to equip a vacation rental is to assume the role of "high maintenance" vacationer. ​While it may be a more expensive investment upfront, the "high maintenance vacation home" leaves little room for disappointment and commands higher nightly rates. A lot of vacation rental owners manage their properties from afar. And thanks to technology, with Nancy we learn that remote hosting is easier today than ever before. ​In addition to Your Welcome Tablet and the internet, Nancy practices a preemptive style of management that begins way before the guests arrive. She combines that with simple phone/text correspondence to ensure that guests are taken care of as well (if not better) than if she was living next door. ​Durable furnishings also generate 5-star reviews, which gives you the momentum and social proof needed to earn the investment back sooner rather than later. ​Find "the little things" -- the items that don't cost an arm and a leg, but that really make a difference in the guest experience, and double-down. Not long ago I knew next to nothing about Marbella as a vacation destination. I knew it was in Southern Spain and I knew it was on the coast. That’s about it. So when I arrived at the nearby Malaga train station from an amazing night in Madrid, I’d be meeting Borja Rodriguez a native of the area and one of the most forward-thinking vacation rental professionals in Spain. I was pretty intent on letting Borja tell me precisely what to do. In the end, he’d teach me much more than that. We met at the gate of the rental where I’d be staying, one of about 30 properties Borja’s company Vacation Marbella manages with white gloves. The rental complex was located about 100 meters from the lapping waves of the Mediterranean and was mostly what one would expect from a European beach complex: neatly manicured grounds, elevators with requests that you dry off before entering, a gate with a guard who is sometimes there and sometimes not. What was totally unexpected, however, about my vacation rental for the next few days was the level of standards and the business savvy Borja injects in pretty much everything he does. In a lot of ways, Borja represents a much greater trend of professionals in one industry leaving their well-paid jobs to get involved in the vacation rental movement full time. These people are finding the landscape of the profession that they thought they would do forever — in Borja’s case it was finance — changing in front of their very eyes and are therefore are encouraged to venture out and explore new, often-entrepreneurial lines of work. The vacation rental industry is such a good fit because it’s so new…nobody has been formally trained, and pretty much everyone got started accidentally…which opens up the door wide for opportunity and cross-pollination. In meeting the various friends, family, and colleagues who revolve around him — you sense that Borja’s adventuresome instincts seem to be rubbing off.